How do some of the most inspirational Muslim women view and spend Ramadan? To find out, ProductiveMuslim conducted an interview with the energetic, super-productive Sr. Maryam Amirebrahimi. Maryam received her Master’s in Education from UCLA. 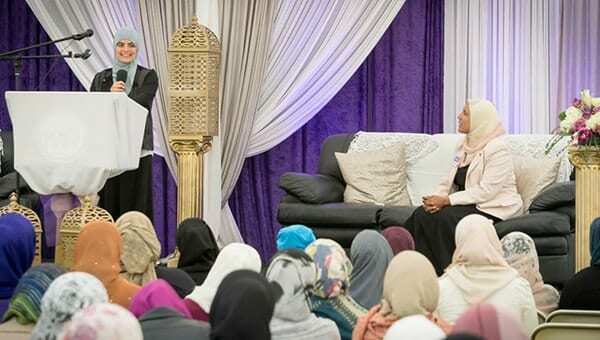 She holds a bachelor’s in Child and Adolescent Development from San Jose State University, where she served as the President of the Muslim Student Association for two consecutive years. Currently, she is pursuing a second bachelor’s degree in Islamic Studies through Al-Azhar University. Maryam spent a year studying the Arabic language and Qur’an in Cairo, Egypt, and has memorized the Qur’an. She has been presented the Student of the Year award by former California Governor Arnold Schwarzenegger and holds a second degree black belt in Tae Kwon Do. She frequently travels to work with different communities to address a variety of social issues and writes about topics related to social realities, women’s studies and spiritual connections. 1. What’s your definition of the purpose of Ramadan? To crack our hard hearts, to feel an indescribable sweetness in a personal, private connection with Allah , to soar in our hope in Him, to taste the Qur’an on our lips, to love the Prophet more than ever before, to exemplify all of that in better character and positive interactions with the people around us and to train ourselves to have purpose and restraint in our lives. stay energetic throughout the day/perform your tasks with focus? Scheduling every free minute to be engaged in something (that does include scheduling rest!) helps my mind stay sharp and my body focused. Being busy energizes me. Also, eating the right diet is crucial to keeping sharp and energetic. Additionally, there is one specific nasheed that’s about sending salawat on the Prophet and something about the words just pumps me up. So when I need that push, I try to blast that and get my brain out of its fog and my energy level back up. But sometimes, let’s be real, all you want to do is just let go and lie down. And when my body is screaming for me to do that, I try to listen whenever I have the time to do so. manage your time and balance between your personal, professional and community role? I have given up on ‘balancing’ and instead I have widened my scope of understanding of balancing worship in the personal, professional and community roles. The Prophet has taught us that, “Verily, actions are by intentions” [Bukhari]. Working full time to provide for a family, taking care of children, caring for elderly parents: all of these are forms of worship. Doing those things without getting annoyed, without getting angry, while remembering to make dhikr and listening to the Qur’an when possible, those can be personal spiritual goals for Ramadan that intersect the professional and familial roles we must maintain throughout the month. Additionally, community responsibilities for Islamic workers and speakers are heavy in Ramadan especially. I remember back when I was in college I organized a youth event in Ramadan and I had to miss one of my favorite surahs being recited during taraweeh in the masjid. We had a packed audience of teens who truly seemed mesmerized by the speaker and who asked him for personal advice afterwards. I pray that it was transformative for them. But even though there was In sha Allah great benefit in that, I was so, so sad I had missed the opportunity to hear one of my favorite surahs by one of my favorite reciters in one of my favorite nights of the year. With my heart heavy, I sat and began to cry out of self-pity for what I had missed. And those tears led to an unforgettable moment with Allah that I absolutely would not have experienced in the same way had I caught what I thought would give me the spiritual fulfillment. The point is that sometimes, our community roles are overwhelming. But it helps to remind ourselves that working to supplement the iman of others is a greater form of worship (as long as we’re also taking care of our own) because it’s not only the personal benefit we may get through a prayer, for example, but it’s a communal benefit that can In sha Allah change the lives of many. And when we’re sad we haven’t been able to experience the sweetness of faith ourselves because our community responsibilities leave little time for it, those are the moments to cry to Allah . To complain to Him . To tell Him how much you wish your heart was feeling it. To show Him you’re trying whenever you can. And before and after an event, make a special dua or pray two rak’ahs asking for your own salvation and that of your loved ones through what you’re organizing or speaking at and In sha Allah you will find what you have given in your time and energy to the community is nothing in comparison to what Allah has given you back in this life and undoubtedly the next. When I first got a smart phone and got on Facebook and other social media outlets, I went into technology overdrive. I was always on my phone and it was difficult for me to let it go. I found that sometimes, I wanted to be on Facebook more than I wanted to read Qur’an. And that really concerned me. So I started consciously training myself to disconnect. I do not have Facebook on my phone and I try to be conscious about checking my email. I usually check my phone in the morning or in the evening before sleeping to make sure I don’t have anything urgent, and then I leave it and take care of living life. One of the questions that helped me through this process of self-cleansing was, “Will this still be here in three hours?” and, “Is knowing this RIGHT NOW going to affect my life in any way?” If the answer to the first is yes and the second is no, I realized that the only reason I’m really all over technology is simply because…wait for it…I’m bored! Or I’m overwhelmed emotionally and I’m trying to disconnect myself by numbing my thoughts through focusing on other peoples’ posts. Recognizing the root of my addictions helped me to pull away and re-frame the way I use technology. It also helps to constantly renew my intention because I’m then mentally present in what I’m doing and conscious of the time and my actions. Because I’ve worked on training myself outside of Ramadan, it’s much easier in Ramadan to let my heart focus on what’s most important in the blessed month and I do not have to make any major changes to my usage. In Ramadan, a lot of people deactivate their social media accounts and this might work for some. For me, I think there is lots of good that can come from them, especially in Ramadan, and that the focus should not necessarily be isolating myself, but training myself so that I can carry the good of what I’ve worked on in training myself for this month to my tech use throughout the rest of my life outside of this month, In sha Allah. I have no social life in Ramadan [laughing]. My social life revolves around spending the most time possible with my Best Friend (the Qur’an!) and seeing people in the masjid and saying salam after prayers. I wouldn’t say I am an example to follow in this though. I frequently struggle with feeling guilty when people want to spend extended time periods catching up, since it’s a month you often see people you haven’t seen in quite some time. I try to gently suggest we do that type of socialization afterwards by asking if we could meet up after Eid. However, what I do is not necessarily what you should do! A person’s approach should really depend on a person’s goals. I know people whose goals are to spend extended time with family and build kinship ties. Others want to make the intention to spread love and joy to their fellow brothers or sisters in the masajid and that would include extended conversations. Some want to invite friends for regular iftars to bring the believers together and build relationships. Those are all beautiful intentions and forms of worship. If that is among a person’s goals, they should not feel guilty in working towards those while they balance the prayers and fasting. There are so many ways to worship Allah and gain His pleasure in the most beloved month and a person should look to what works best for their situation and strive in that. So much of feeling energetic and being able to excel in Ramadan is about working out and eating healthy outside of it. I try to eat a very specific diet throughout the year, and I’ve noticed that Alhamdulillah outside of Ramadan, it helps prepare my body for the month. Once I’m in Ramadan, the diet I’ve been maintaining Alhamdulillah is the right amount to keep me energized without causing me to feel either too hungry or overstuffed. I try to avoid any unnatural sugars (no desserts although I have a super-soft spot for a specific ice-cream and sometimes it gets the better of me!) and I avoid most carbs (breads, rice, pastas, grains in general – quinoa, lentils and sweet potatoes are the exception for me). I eat natural fats and proteins (such as organic eggs with the yolk, beef, chicken, wild salmon, avocados, organic whole cheese, organic whole yogurt and organic non-homogenized whole milk – I mention organic and whole because those two specifically are important for dairy products in the US). They are more expensive, but I’ve noticed investing in healthy eating has helped cut down how frequently I’ve gotten sick and needed to pay for doctor’s visits and medication instead. It’s preventative instead of reparative and things for digestion I’ve had to get used to like sauerkraut. I’m also particularly cautious not to overeat during iftar. I have definitely overeaten before and it has led to the most painful taraweeh prayers, where my focus is on the pain in my stomach instead of the sweetness of my salah. No food – nothing — is worth that trade. Anytime I get a little excited about wanting to indulge in just a little more food or eating a big dessert, I remember that pain and the greater pain in my heart when I chose food over those blessed moments of connection with my Creator, and it serves as a sufficient reminder for what my decision should be. 4. What’s your secret to staying motivated and consistent throughout Ramadan, especially when you hit the mid-Ramadan slump? Think about it like this: it’s Ramadan and I’m blessed to be alive and there are millions of people who are praying, fasting, giving charity in this moment. But there is one thing no one is doing or very few people are doing. What is that one thing? You have to figure out what that is. And whatever that is, when you’re feeling drained, think about how the earth will miss witnessing you doing something so unique and beloved to Allah once you’ve passed away. Therefore, with urgency, you must do it now and get back in the game! That one thing could be anything: visiting an animal shelter and playing with the animals when they’re lonely, cleaning the restrooms in the masjid when it’s nastier than ever because of the increase of use, visiting a hospice and sitting with the residents. When everyone else (including me!) is focused on more Qur’an, more salah, more dhikr, when you need to change it up to get yourself back in the mode: do something special. Something few others are thinking about doing to re-energize themselves for the rest of Ramadan. And then do it again. You’ll find that Ramadan becomes incredibly enjoyable because you’re spicing up your understanding of worship and that special smile you reserve just for knowing that Allah is the only One Who knows your true intentions will help carry you through the next day with renewed zeal, In sha Allah. Also, Ramadan should be fun! Worship is fun! It’s such a blast! The Qur’an is the most amazing, most wonderful thing to ever come to earth. Don’t make this month about pressuring yourself into hating yourself for not reading enough Qur’an because you’ve been too busy or being angry with yourself for not accomplishing your goals on time. Find ways to make Ramadan special to you, the Qur’an enjoyable to you, beloved to you, healing for you, rejuvenating for you, and you’ll find the mid-Ramadan slump will be a very different experience than when it used to be focused on mentally yelling at yourself about how little you’ve done and what you should be doing. Make goals that you know you can attain and be consistent in, even if they’re small. And be persistent in them since the Prophet taught us, the most beloved deed to Allah is the most regular and constant even if it were little” [Muslim]. And then focus on helping your heart enjoy its relationship with its Creator . 5. What are your tips for our readers on approaching the Qur’an and coming out a different person at the end of this Ramadan, In sha Allah? The way we’re often encouraged to approach the Qur’an in Ramadan is to finish reciting it cover to cover at least one time. The focus frequently seems to be the amount and only the amount. This frequently leads us to see many people reciting the verses in Arabic fervently, sometimes with great difficulty, and other times with absolutely no understanding, simply to hit the deadline of finishing it before Eid comes in. While reciting the entire Qur’an once or even more is such a blessing and honor and an incredible means of receiving reward, I think we need to approach the Qur’an by what it truly is: this is a book that is meant to transform us. Inspire us. Guide us. Renew us. It is difficult to experience transformation when we have no idea what we’re reciting. It’s difficult to know how to live our lives when we don’t understand the wisdom behind words we do not comprehend. Thus, I would recommend that if you do not fully understand the classical Arabic of the Qur’an, you approach the Qur’an in a language you understand. Instead of making your goal completing the entire book without understanding, take a certain portion of it and plan to really sit and seek redemption through it. Choose a specific amount (i.e. : 5-10 pages) that you know you’ll be able to read every single day and try to find some isolated time where it’s just you and the Qur’an. Don’t just approach it as a book you need to hastily complete to hit a deadline. Read it with the hunger of someone starving for nourishment, the feral desperation of a drowning person who has been pulled up into the air. Open your heart to understanding the Qur’an in this month. And when you understand it, when you beg Allah to open your heart to it, when your soul is consistently craving it, In sha Allah you will come out a different person at the end of Ramadan. 6. What is the biggest positive change any particular Ramadan has brought to your life? The first time I ever felt Ramadan was when I was sitting in the car with my parents, driving to the masjid for Isha and taraweeh. We were listening to Qur’an, Shaykh Nasir Al-Ghamidi’s recitation of Surat Al-Mu’minoon. I didn’t know who he was at the time or what we were listening to; I’m not Arab and I had no Arabic skills. I understood words like “Jannah” and “Alhamdulillah” and few more than that. So I didn’t know what was being recited, other than we were listening to Qur’an. Shaykh Nasir suddenly began crying in his recitation. Then he began bawling. And as his sobs became louder and he had to stop reciting, you could hear the sounds of his cries echoed by the intense crying of the people praying behind him. I was so affected by that moment. It was literally the first time in my life where the Qur’an touched my heart. I had no idea what he was saying and I asked my dad to share what he knew of the meaning. He told me the verses were talking about the Hereafter- the hellfire and the people who Allah protects from it. In that moment, I knew I wanted to memorize Surat Al-Mu’minoon, but I also knew I wanted to understand it. So that Ramadan, I started working on memorizing the surah and memorizing the corresponding meaning. Mind you, I had no idea what tajweed was, I could barely recognize the Arabic letters when they were put together. 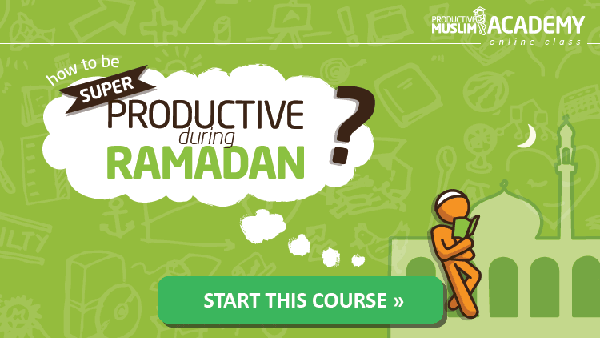 But it was my first time, in Ramadan, choosing to work on understanding the words of Allah . From there, my following Ramadans were focused on trying to understand the meaning of the verses. And that understanding quite literally transformed my life. Many of us feel inadequate in Ramadan. Long hours of fasting with short nights makes it hard for those of us who are parents of young kids, or those of us working full time, or those of us who are unable to fast, to “feel” Ramadan. We can’t do the extra worship we used to and even when we get in our extra Qur’an or pray in the mosque we can’t even concentrate, so we end up just feeling lame. Give yourself five minutes, just you and God . Sit and raise your hands and share what’s in your heart with Him in your own words, even though He is well aware of it. Allow the burden of your frustration with yourself to be lifted off your shoulders and into His Hands. Then, just keep renewing your intention. Remember, even the mundane (brushing your teeth) can be worship with your intention. And try to increase your dhikr just a little bit when you’re walking to your car or washing the dishes or taking your medicines or going to sleep. The beauty of Islam is that it doesn’t restrict worshiping God to praying, fasting and reading Qur’an. It can encompass your daily actions simply through your intention. This Ramadan, make your worship something transformational. Choose to understand your relationship with God as one which will continue even when your life changes. Choose to magnify your intention. We’ve come out with a whole new perspective on Ramadan and the Qur’an after this amazing interview, how about you? Share your thoughts in a comment below! Maryam Amirebrahimi received her Master’s in Education from UCLA, holds a bachelor’s in Child and Adolescent Development from San Jose State University and is currently pursuing a second bachelor’s degree in Islamic Studies through Al-Azhar University. She works with different communities to address a variety of social issues and writes about topics related to social realities, women’s studies and spiritual connections on www.virtualmosque.com.